December 10th, 2006 was a milestone day in the history of petroleum industry. This was of course the day Blue Oil was discovered off the coast of Alaska. The Exxon Mobil Corporation was searching for a new resource after seeing record profits in the previous quarter and it may have stumbled onto one of the most unique finds in human history. California State University at San Luis Obispo graduate Patrick B. Mitchell led the team of engineers. Patrick was credited with the discovery and quickly given the nickname “Papa Smurf”, due to the dying properties of the oil. Once announced, Blue Oil did not take long to be applied; Blue Oil was soon finding its way into mainstream pop culture. The visionary director James Cameron was said to have used ten thousand barrels of Blue Oil each day during the filming of Avatar. Although the film was one of the highest grossing films of all-time it barely saw profitability due to the extreme expenditure of Blue Oil that Cameron “needed”. Blue Oil was also the namesake of Beyoncé and Jay-Z’s first child. Beyoncé decided to name their baby after the intriguing discovery. Beyoncé knew the rarity of the oil and believed her baby would share the same refined characteristics of the oil upon which she was named. Jay-Z had little say in the decision. The production team on X-men: Days of Future Past were also said to use Blue Oil. The transformation process of Jennifer Lawrence into her character Mystique was created with the help of Blue Oil. Each day at the studio there was a lottery to see who would get to rub Blue Oil onto Jennifer. Those selected were sworn to secrecy but later could easily be identified by their blue palms. Not all organizations are adopting the same enthusiasm about the lubricant seen on ESPN telecasts. 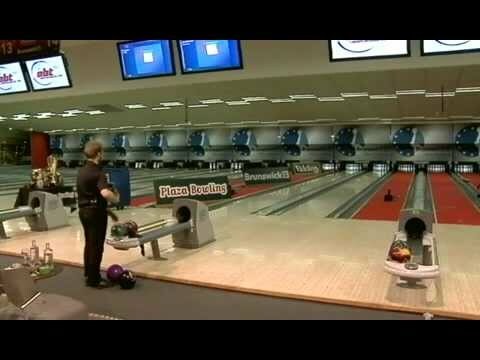 The Middle Eastern World Bowling Tour events have put a strict ban on the use of Blue Oil due to the possible implications on its overall economy. Oil markets are in frenzy of late, due mainly to speculation about Blue Oil. Blue Oil has given the world an alternate source of energy in a much cooler and hipper form. People don’t want regular old oil anymore. Unfortunately for the public, Blue Oil is so rare and in such high demand that prices are in no way in line with that of crude oil. Meaning the public will have to wait to see Blue Oil on their local lanes. 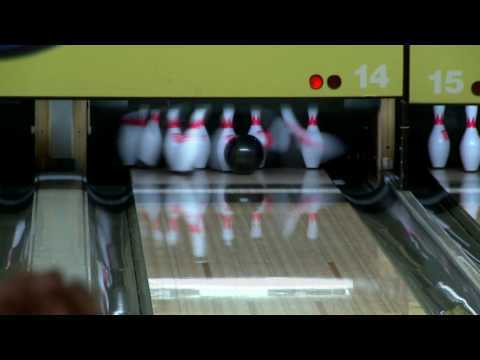 Until then, the PBA Tour will continue to use Blue Oil on ESPN telecasts to educate the consumer on how lanes transition. Millions of years of evolution are certainly not being put to waste. My son loves bowling.In 2 yrs he has 848&847 series a record at Stuart Bowl for his age.All without a coach to get dailey.1st sanctioned 300 ring was presented to him And he bowled a 300 game again!every league he ends up with highest average a truck hit me so I cannot take him to camp or Kegel.Son won with Used equipment vs.players where money wasn’t an issue much to my chagrin.How can he get sponsored? When we did get New equipment cracking was a big issue. I’m sure blue oil would help younger bowlers, a 225 ave would go up and easier to learn when you can see oil changing. Better than a book. Sounds like your son is well on his way. Using used equipment is not the end of the world. I didn’t have the money to buy new equipment when I was young and was constantly using used equipment, it will teach your son how to work with what he has and become versatile, instead of relying on having 8 balls. My recommendation would be to bowl junior tournaments (Junior Gold, Teen Masters), network locally (its a small world) and make relationships in the industry. Try not to make the point of every conversation about getting equipment, but make it about learning from people with a lot of experience in the game and the industry. Your son will learn and if he is truly that good, equipment shouldn’t matter and he’ll get all he needs.